"CODE makes a compelling case that the lack of women in tech poses a significant threat to America's future." 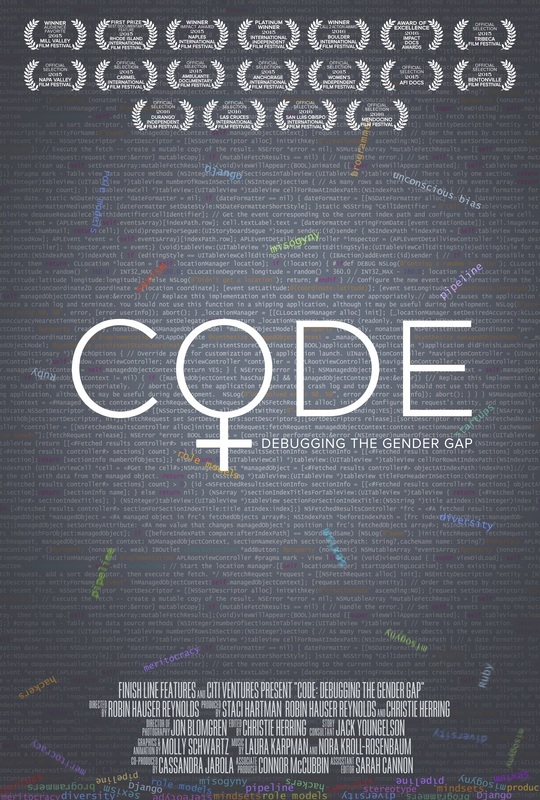 "Polished, entertaining, and informative, 'CODE' is mainly a trove of impressive women and articulate voices addressing an important issue." "...thought-provoking, fascinating, and tantalizing look at the disparity of women in this field, as well as why tech should be an integral part of one's schooling from a young age." Tech jobs are growing three times faster than our colleges are producing computer science graduates. By 2020, there will be one million unfilled software engineering jobs in the USA. Through compelling interviews, artistic animation, and clever flashpoints in popular culture, CODE examines the reasons why more girls and people of color are not seeking opportunities in computer science and explores how cultural mindsets, stereotypes, educational hurdles, and sexism all play roles in this national crisis. Expert voices from the worlds of tech, psychology, science, and education are intercut with inspiring stories of women who are engaged in the fight to challenge complacency in tech.